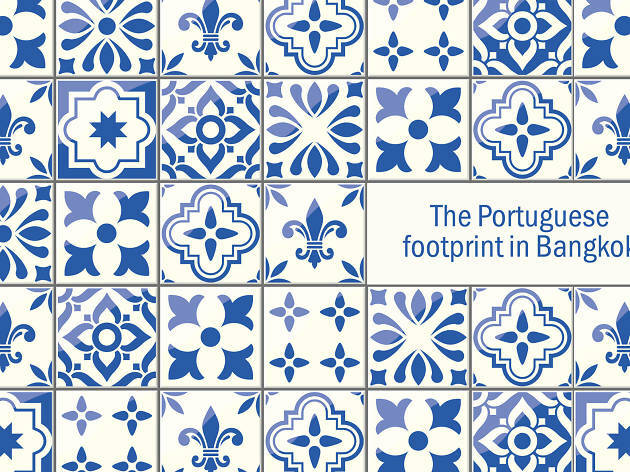 Uncovering the bits and pieces of Portuguese culture that lie within the city to celebrate the 500th anniversary of Thai-Portuguese relations. 2018 is a very meaningful year for Thailand and Portugal. The official bilateral relationship between the two nations, which was initiated way back in the Ayutthaya period, has come into its 500th anniversary—the longest Thailand has ever had with a European nation. Five centuries of friendship—without dissolution—has had its implications on both countries. 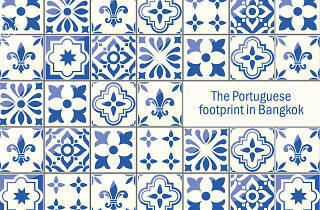 You still find traces of Portuguese culture in Thai society, from food and drinks to language and architecture. The shophouses spread across the old town flaunt architecture partially inspired by Sino- Portuguese culture. Behind the Grand Palace walls, patrons visiting Great and Good Friends, the exhibition that embodies the 200th-year celebration of Thailand-USA relations, will notice that the first letter to mark the official beginning of the bilateral relationship was written in Portuguese, the official foreign language in the Thai royal court during that time (long before English was widely learned in Thailand). 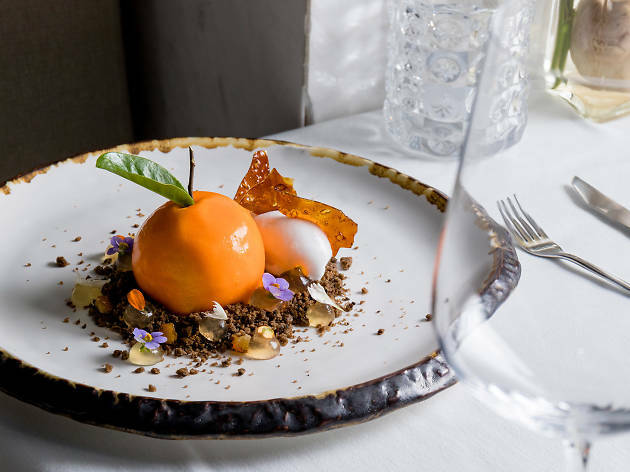 Many Thai egg yolk-based desserts—from foi thong to thong yod—are closely related to Portuguese sweets. Then there’s the popular egg tart, a Portuguese-born snack that arrived in Thailand via Macau. Not to mention, many Thai words are “borrowed” or "reinterpreted" from the Portuguese language. A little bit of Portugal surrounds you—and maybe is even in you. And it’s time you became aware of it. The first Portugal trading ship arrived in Ayutthaya. Trading began. The first official trading and friendship treaty between Portugal and Siam was signed, followed by Portugal advancing the herb trade, supplying guns and bullets for the Siamese court, building silos, and propagating Christianity. The treaty was the first formal agreement between Siam and a European country. A group of Catholics from Ayutthaya, inclusive of those with Portuguese blood, settled down in Bangkok. The first Imaculée Conception church was erected. The dissolution of Ayutthaya kingdom. King Taksin erected Thonburi. He also provided the Portuguese with a piece of land on the left bank of Chao Phraya River, where Santa Cruz Church was erected. This was soon followed by the enlargement of the Kudeejeen community. Establishment of the Portuguese consulate in Bangkok. The current Imaculée Conception church was erected. 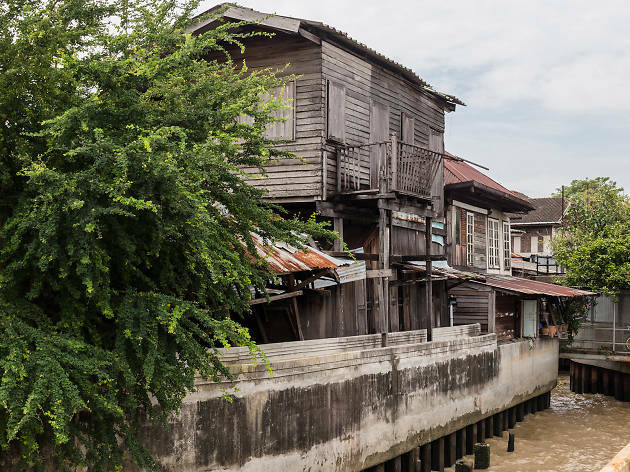 In 1767, a few months after the destruction of Ayutthaya—the former capital of Siam—King Taksin established the new capital city of Thonburi on the west bank of the Chao Phraya River. The monarch also allocated pieces of land to different communities, including one called Kudejeen to a small Portuguese community. The name Kudeejeen is said to have been derived from either kutijeen which means “Chinese monk’s residence” in Thai, or kuleejeen, which translates into “Chinese laborers.” The Portuguese settlement brought about a complex yet harmonious set-up where Christians, Buddhists and Muslims have been co-existing together peacefully for more than 200 years. The settlement also introduced a culture that was distinctive to the place, as well as unique Portuguese-influenced cuisine. 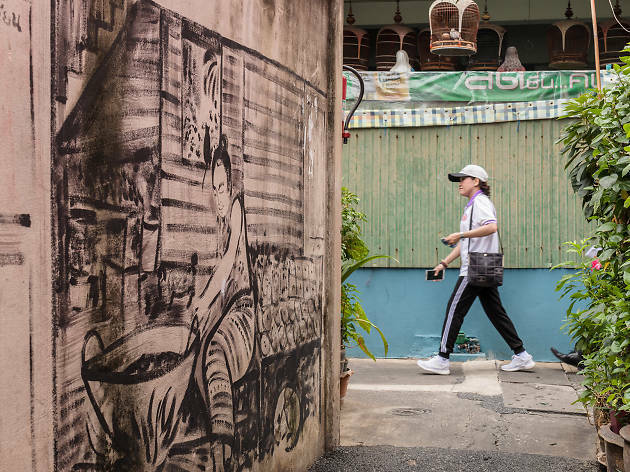 Note: Kudeejeen is also home to notable historic and religious attractions, such as Kuan An Keng Shrine, one of the oldest Chinese shrines in Bangkok, and Wat Kanlayanamitr, a Buddhist temple where revered statues are enshrined. 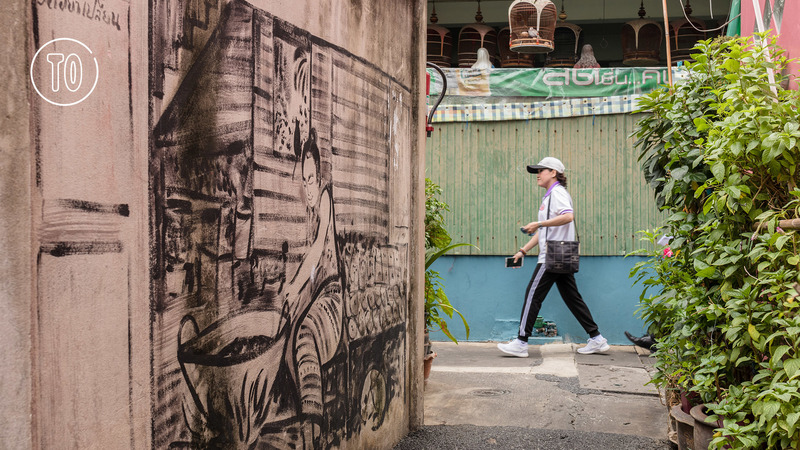 Though bearing no connection to Portugal, these attractions show how diverse Thai communities have always been. Tucked at the end of the main alley is a renovated wooden structure that houses a cafe (featuring lovely Azulejos tiles) on the ground floor. 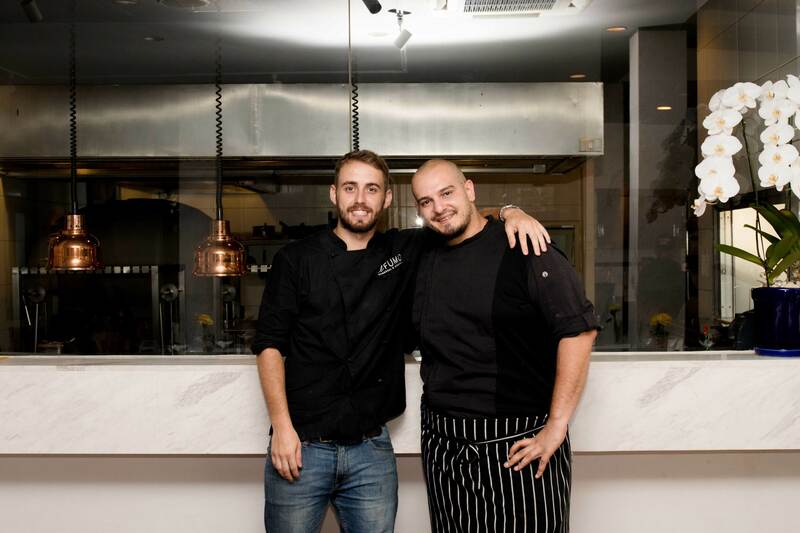 The place is known for serving a savory treat called Sappayak Bun (B50), a traditional Portuguese bun stuffed with minced pork, potatoes and chili. 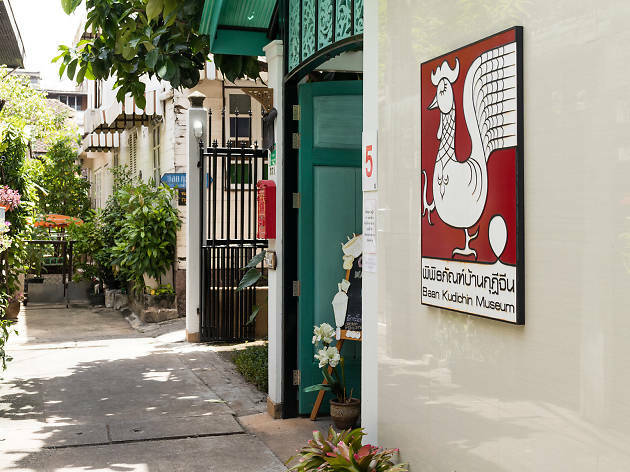 Get your fill while enjoying a view of the small garden before making your way up to the upper floor where a small museum showcases the relationship between the Kingdom of Siam and Portugal. The museum also displays a wide collection of photos and tools used by the early residents of Kudeejeen. You can also climb up to the rooftop for picturesque panoramas of the neighborhood and the river. 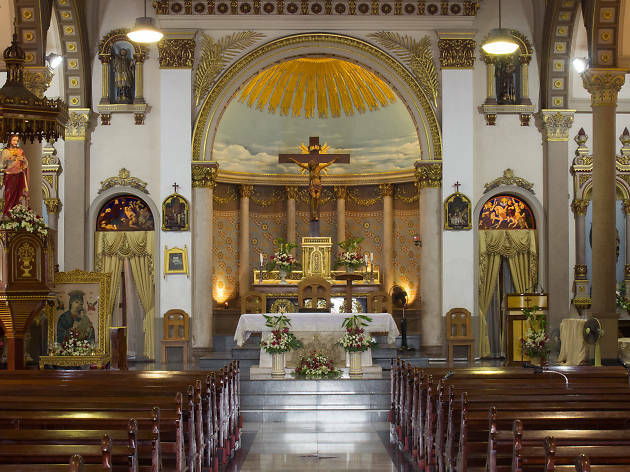 One of the oldest Catholic churches in Bangkok, Santa Cruz Church was built in 1770 to cater to the religious needs of foreigners living on the west bank of the Chao Phraya. The original wooden structure was severely destroyed in a fire accident, but was rebuilt using brick in 1916 during the reign of King Rama VI. The church boasts a Renaissance-neoclassical architecture with a recognizable dome that’s reminiscent of the Duomo in Florence. 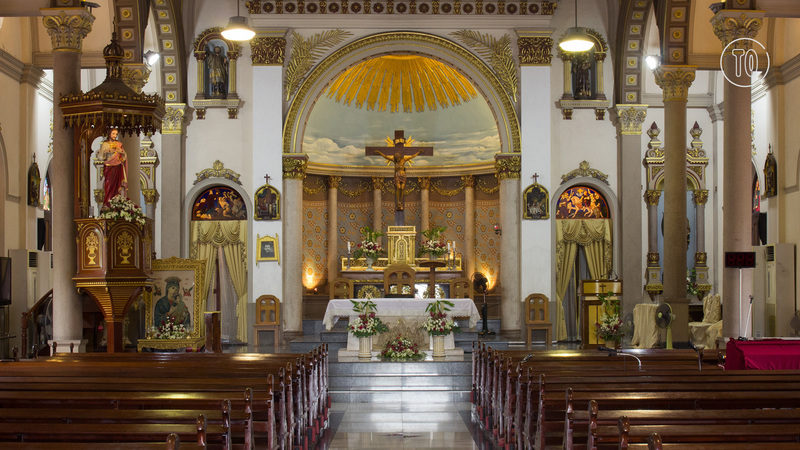 There’s another Portuguese-Catholic community in Bangkok and you may not even know about it. 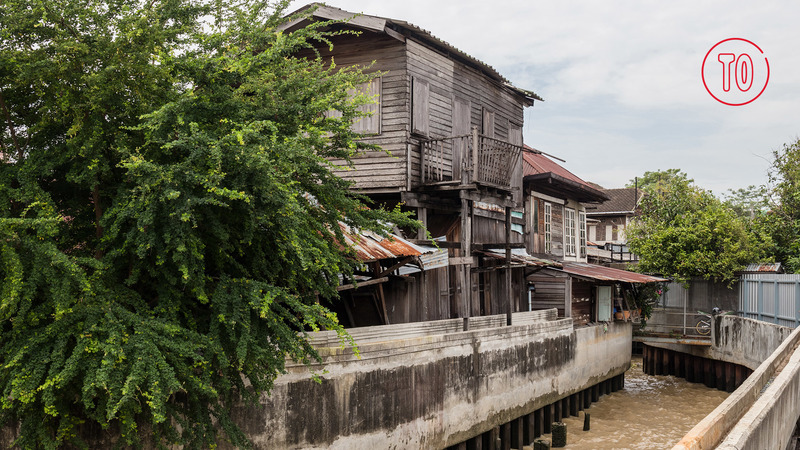 Further north from Kudeejeen, on the right bank of the Chao Phraya River, is where more traces of the Portuguese heritage in Bangkok can be found. In 1674, King Narai of the Ayutthaya kingdom granted a piece of his privately-owned land in Bangkok to a Catholic priest named Lano for the settlement of Roman Catholics, which included a certain number of Portuguese families. 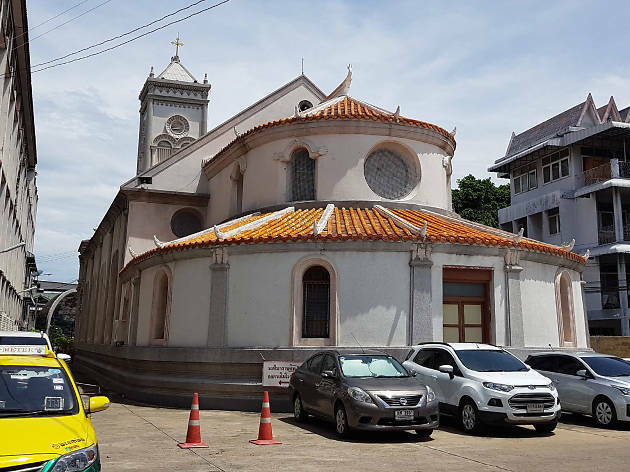 The Catholic church Imaculée Conception was erected a year later and the community grew over the years, becoming the oldest community with Portuguese roots in Bangkok. But due to the influx of new people and cultures into the community, Conception has never been purely Portuguese— the nationality made up a quarter of the diverse community that shared the same faith in the Catholic God. 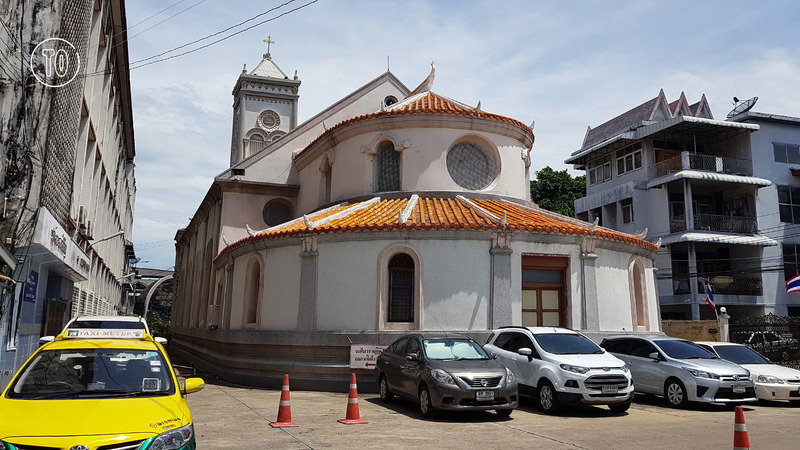 The most Portuguese part of Conception is the Imaculée Conception church that has been serving the community for more than three centuries as the longest-running Roman Catholic church in Bangkok. Imaculée Conception church has been the center of faith in the Conception community for more than three centuries. This Roman Catholic institution was first erected in 1675 as a compact-sized church that now serves as a museum. The current Neo-Romanesque structure we see today was built in 1837 with several expansions in the following years. Enshrined inside the church are revered Roman Catholic statues, including the statue of Maria from Portugal. A tree-shaded space on Soi Captain Bush is where the oldest European embassy in Bangkok has made its home for almost 200 years. 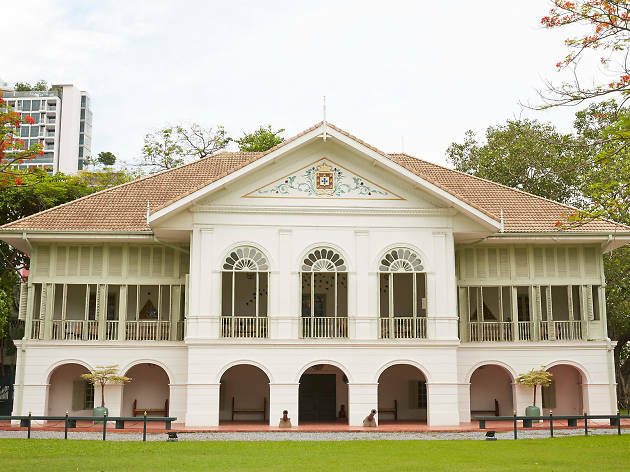 The Embassy of Portugal was established in 1820 (as the Consulate of Portugal) during the reign of King Rama II and under the supervision of Ambassador Carlos Manoel da Silveira. It was the first European consulate in Thailand. 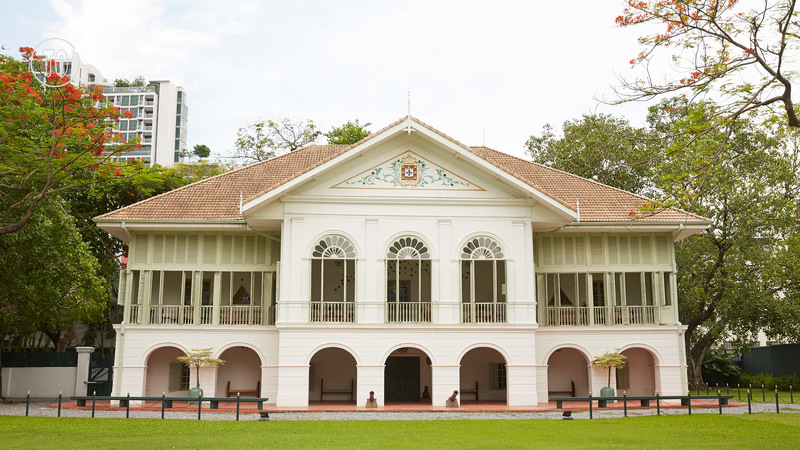 The grounds are home to the Embassy office and the Ambassador’s Residence, which was built in 1860 using local materials (the ships carrying materials from the then Portuguese State of India had sunk). The two-story structure flaunts classic Portuguese colonial architecture, and boasts a spacious veranda overlooking the Chao Phraya River. The ground floor, once an office, is now a reception area where you can find plenty of decorative objects dating back to the Ayutthaya era as well as a prison cell used to hold Portuguese convicts before they were sent back to Portugal (when extraterritoriality was still enforced). 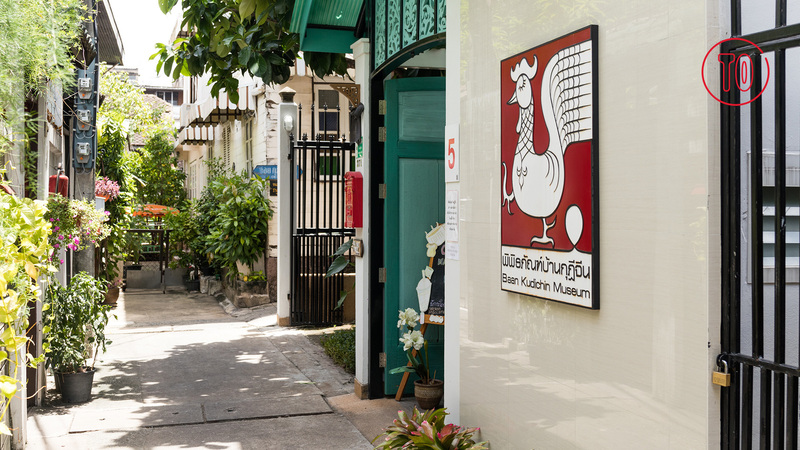 The upper floor houses a living room, dining room and private area where you can find plenty of paintings done by Portuguese artists as well as Somboon Hormtientong, a famous Thai abstract artist. 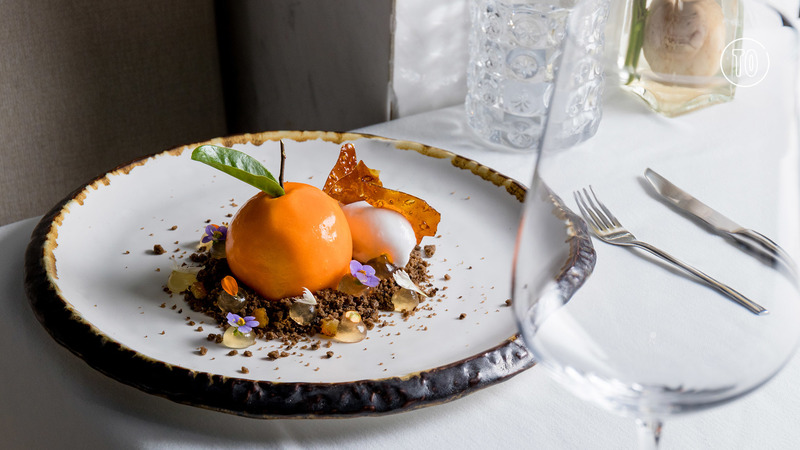 You can also get a sense of Portugal—a more modern one— without stepping foot inside embassy grounds. 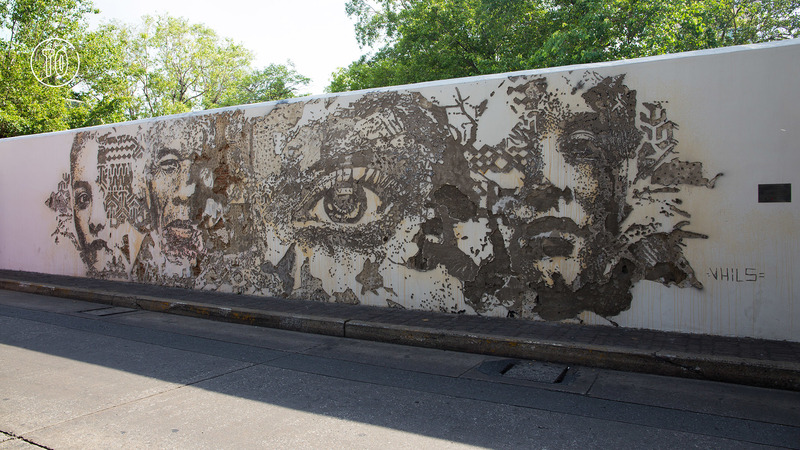 Recently, the Portuguese Embassy flew in renowned Portuguese artist Alexandre Farto, aka Vhils, to carve out his signature art on the entrance wall of the embassy. 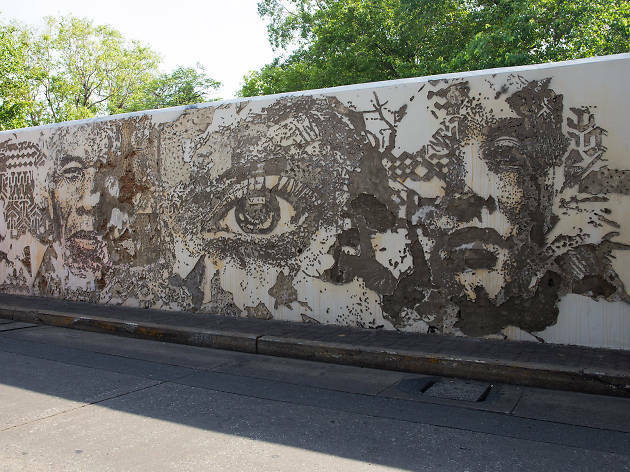 Vhils is known for installing amazing wall carvings under his Scratch the Surface project at a number of locations in Lisbon and London. 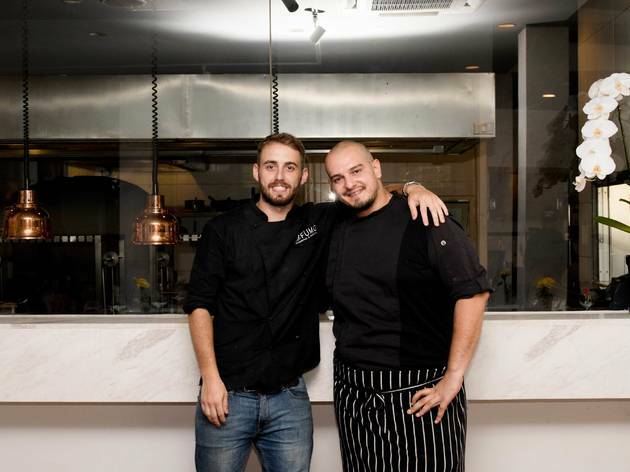 II Fumo’s Portuguese chefs talk about their underrated national cuisine.